Rheology Solutions Pty Ltd is a specialist sales and service organisation dedicated to the science of materials characterisation. Our newsletter RheoTalk is produced three times a year and the concept is to provide an update and overview of news and information covering Australian seminars, industry specific application reports, product launches, new appointments and general product information within the field of materials characterisation. The product range covers, materials testing instruments, process rheometers, process viscometers, polymer testing instruments, rheometers, temperature control, twin screw extruders, and viscometers. 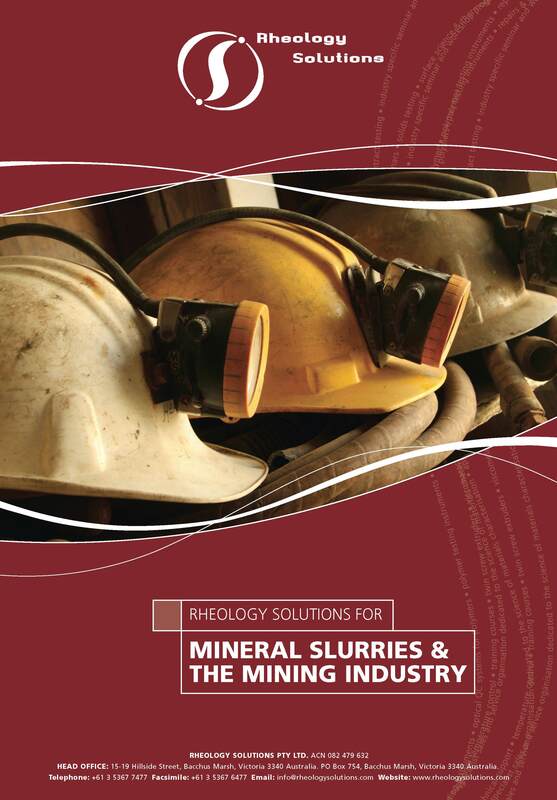 The newsletter provides information specific to key industry classifications, one of which is mining. We recognise the importance of specialisation and dedication to a specific science and, as such, provide full technical support and service throughout Australia. The Company goal is to integrate industry experience and materials characterisation techniques to provide practical solutions for customers. We have a fully equipped rheology laboratory and can provide specialist contract testing services. These contracts can be tailored to suit discrete tests or protracted testing requirements according to your needs. We can provide specialist advice and recommendations on appropriate requirements. Rheology Solutions has its head office in Victoria and works with a team of specialist sales and factory trained service personnel throughout Australia. The combined experience of this team ensures that we are able to provide our customers with access to the products to ensure that the right technical support and service is provided. We trust the mining information overview will be of interest to you and your colleagues and we look forward to being of further service.